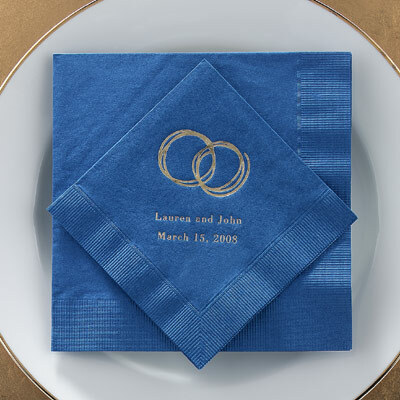 Clark Stationery - Carlson Craft - Napkins. To see all designs from Carlson Craft click here and be directed to a sister site. Item Name: Napkins. To see all designs from Carlson Craft click here and be directed to a sister site. Pricing: $24.90 for 50 beverage or luncheon napkins, $28.90 for 100 beverage or luncheon napkins. Price includes matte ink, add $6.50 for foil ink.